It can be really overwhelming to stock your kitchen. There are so many gadgets and gizmos any home cook can feel overwhelmed by the multitude of choices available. Luckily, while there are a lot of bells and whistles out there, you only need a handful of tools to make the most out of your kitchen. Any cook will tell you that your life will be greatly improved with a quality knife (or better yet, a good knife set) in your arsenal. They make chopping anything from fresh herbs to the toughest squash a breeze. Keeping them sharp is a must. It’s totally worth it to either learn how to sharpen your own knives or find a local store that will sharpen them for you. These are useful for so much more than icing a cake! 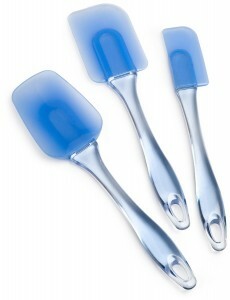 They’re great for stirring softer dishes that you don’t want to mash up too much, like a creamy potato salad. I use baking spatulas for scraping the last bits of anything from pans, bowls, and blenders. I promise, there is one pancake left in your bowl that you are washing away in your sink if you don’t have a baking spatula. Never mince garlic by hand again with one of these garlic tools. They are easy to use and turn a chopping chore into just a few quick motions. 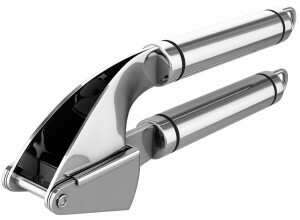 The upside to the garlic press is that you don’t have to peel each clove, but the get one that disassembles easily for clean-up. Everyone loves pizza, but not everyone realizes how truly easy it is to make at home. Most grocery stores or local pizza shops will have dough available to buy, but most home ovens don’t get hot enough to create that crispy crust. Enter the pizza stone: it holds heat to mimic the kind created by a brick pizza oven. 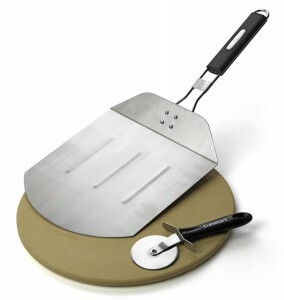 A pizza peel is the tool used to place the pizza on the stone and remove it after baking. Traditionally they were made out of wood, but many modern ones are made from aluminum or stainless steel. 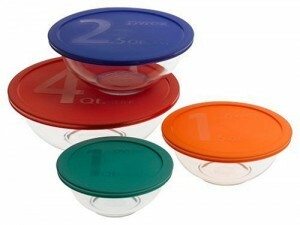 Nesting bowls with lids will not only help you store a variety of leftovers, but they’ll help you keep your prep cooking organized. I always loved how on cooking shows, everything was chopped and ready in appropriately sized bowls. You can recreate that at home just by having the right size bowls around that can be easily stacked and stored in one place. Even if you only use it a handful of times a year, a blender is great to have in your kitchen. One day you can be making frozen margaritas and the next smoothing out a butternut squash soup. 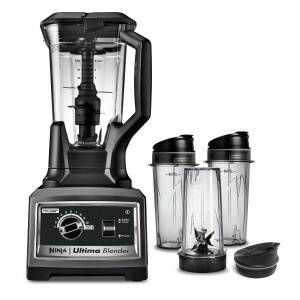 Now the price of the Ninja Ultimate Blender may scare off a lot of people, but I have to say it is awesome! Smoothies, margaritas and just about anything you throw at it will be chopped up instantly. I have to say it would be worth every penny. >> Click Here for the Ninja Ultimate Blender for 23% Off! Whether I’m roasting a chicken, making soup, or cooking a hearty tomato sauce, my Dutch Oven is my go to pot. They transition easily from stove top to oven and are best for those low and slow dishes everyone loves. They are big and heavy, but also beautiful – I keep mine out on a shelf so I don’t waste storage space – and easy to clean. A little bit of soap and hot water and your encrusted pot is clean in no time. Sure, you can get one of those fancy French cookware brands but there are great values to be had elsewhere. Be sure to read and find out what is the best cookware material too. 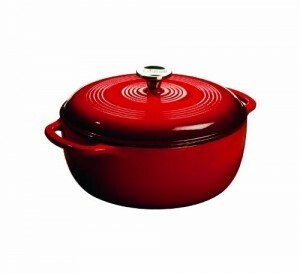 >> Click Here for a Nice Enameled Dutch Oven for 41% Off! Do you have a go-to item or just one that you are absolutely in love with? I’d love to hear about it so please don’t hesitate to leave a comment. I just couldn’t luvenwithout my Tupperware. I have bowls with seals, but also gadgets. Favorite one is the Orange peeler. And the other thing I love is my Mom’s stainless steel pots and pans. No more eating Teflon cause it’s peeling. They are easy to clean and the best pans I’ve had in 35 yrs.